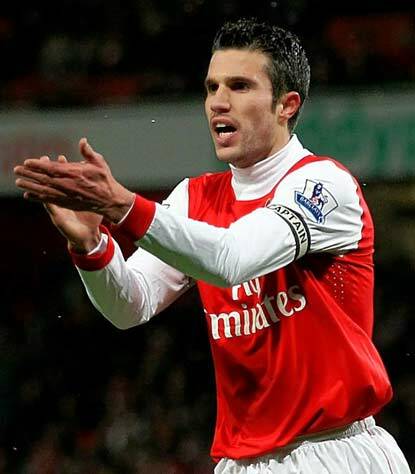 Arsenal striker Robin van Persie is the clear favourite after being named among the nominees for PFA Players' Player of the Year award. The prolific Dutchman, who has scored 34 goals this season, heads a six-man shortlist revealed by the Professional Footballers' Association for their top award. The Manchester City trio David Silva, Sergio Aguero and Joe Hart, Tottenham midfielder Scott Parker and Manchester United forward Wayne Rooney make up the rest of the list. PFA chief executive Gordon Taylor assessed each of the candidates as the list was announced. The winner will be announced at the union's prestigious annual awards night on Sunday.